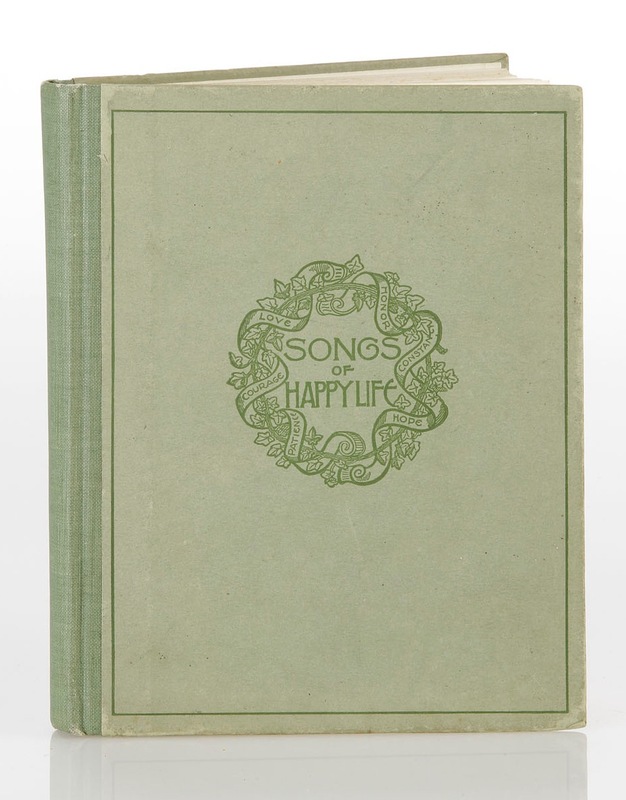 Songs of Happy Life: For Schools, Homes and Bands of Mercy was compiled by Sarah J. Eddy. It was originally published in 1897, but subsequent editions were published after this date. For example, a second edition was released in 1898 and a third edition was published in 1901. This book was published by G. Bell and Sons in London, and by Art and Nature Study Publishing Company in Providence, R.I. 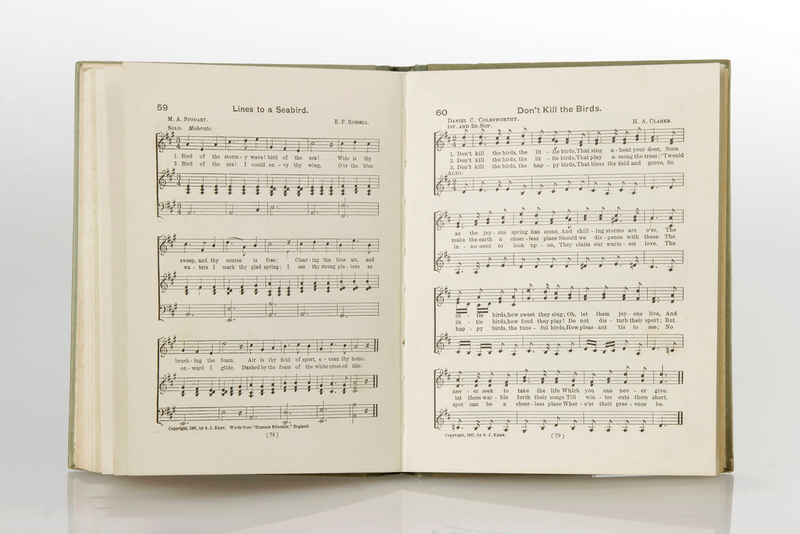 The book was dedicated to “all noble and earnest souls who wish to add to the beauty of the world, and to the joyful life of all creatures.” It is broken in to two parts: Part I is musical scores and lyrics, and Part II is a collection of texts on the subject of Humane Education and Nature Study. 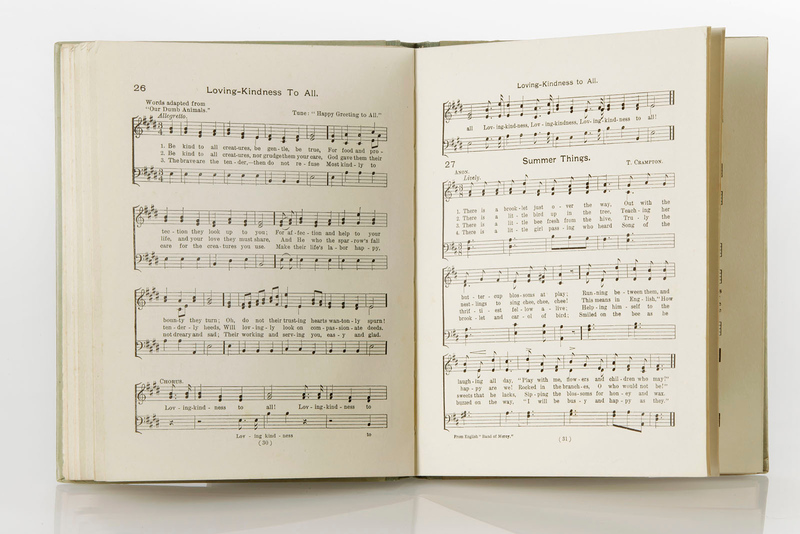 Part II of Songs of Happy Life gives information about Humane Education and Band of Mercy activities in the United States and in England. This section of the text also some background on “Bird Day,” which was initiated by the United States Department of Agriculture in July of 1896. Bird Day, according the USDA’s circular on the topic, was intended to teach children “the value of our native birds and the best means of protecting them.” Songs of Happy Life offers suggestions for “Bird Day” programs in schools, including a list of appropriately-themed songs. This fits with one of the themes promoted by Sarah J. Eddy through the publication of this book, namely the importance of nature study for children. She includes a section entitled “Music In Nature,” and provides musical scores with notes representing sound that various birds and other animals make. In 1899 Sarah J. Eddy published Friends and Helpers, a book which aimed “to teach children to treat all living creatures with considerate kindness and to appreciate the services of man’s helpers in the animal world.” This book was richly illustrated and featured reproductions of animal-themed artwork and a number of photographs, including one called “Loving Playmates” taken by the author and featured on the frontispiece. 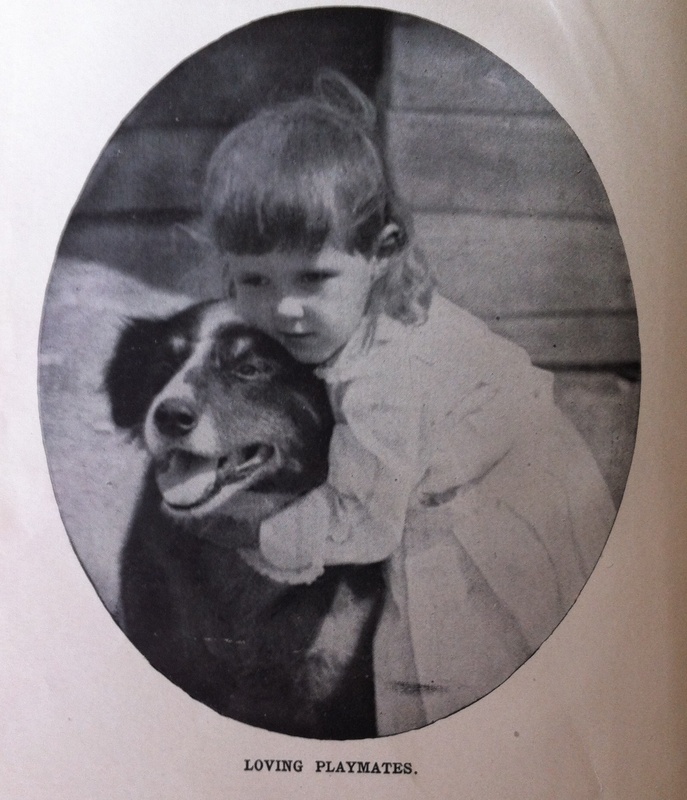 “Loving Playmates,” frontispiece photograph from Friends and Helpers, compiled by Sarah J. Eddy.